Alex Bregman will join the big league team on Monday. 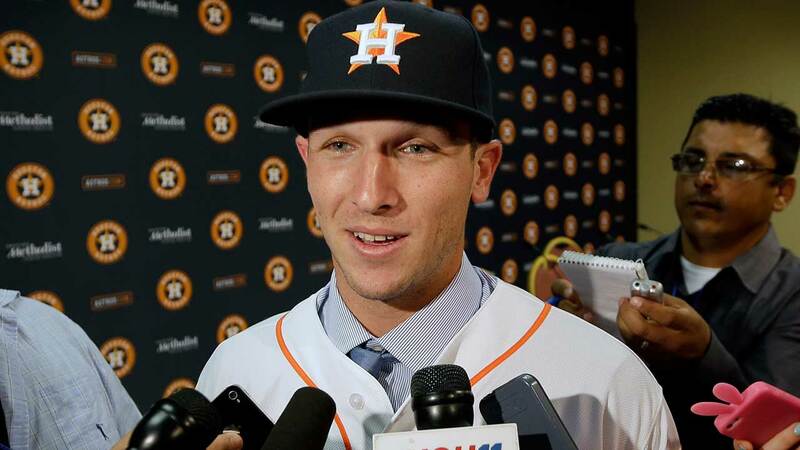 HOUSTON (KTRK) -- He's been one of the most talked-about players in the Astros farm system and now Alex Bregman is joining the Major League team. The Astros tweeted Sunday the up-and-coming infielder will join the team on Monday. Jose Altuve hit two of Houston's season-high five homers and had a career-high six RBIs to lead the Houston Astros to a 13-3 win on Sunday for a three-game sweep of the Los Angeles Angels. Bregman split time between Double-A Corpus Christi and Triple-A Fresno this season, hitting .306 with 20 home runs and 61 RBIs. To make room, Houston designated Danny Worth for assignment. 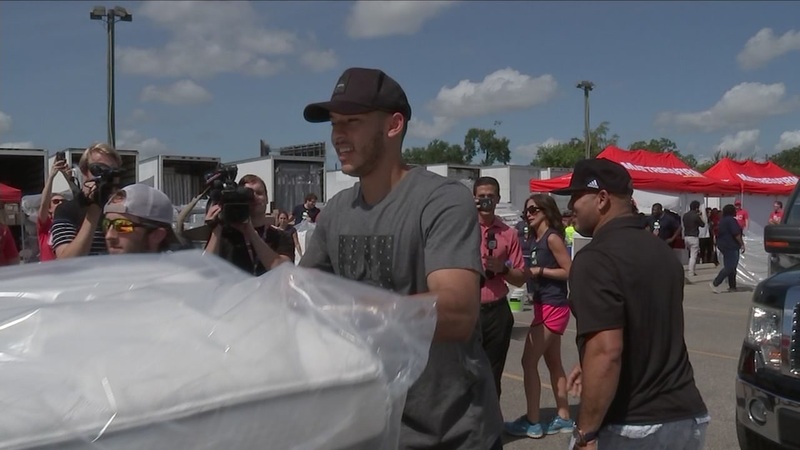 The Houston Astros short stop and AL Rookie of the Year spent part of his weekend giving away brand new beds to children in need.